Richard Brush; Damien McNulty, Packie Mailey, Keith Cowan, Ciaran Coll; Dave Scully, Gareth Harkin, Sean Houston (Liam Flatley 82), Ethan Boyle (Michael Funston 53), Tony McNamee; Dave Scully (Kevin McHugh 82). Brendan Clarke; Michael Barker, Darren Dennehy (Jason McGuinness 60), Sean Hoare, Ian Bermingham; Conan Byrne, David Cawley, Mark Timlin, Shane McEleney, Billy Dennehy; Christy Fagan. 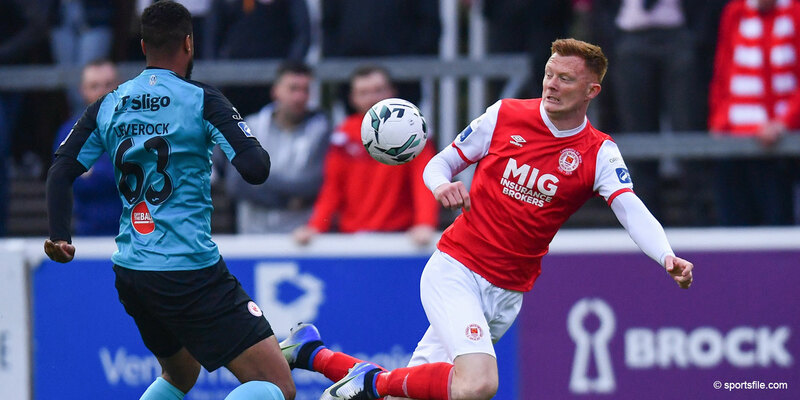 St Patrick's Athletic picked up their fourth SSE Airtricity League Premier Division win of the season with a narrow win over Finn Harps in Ballybofey. 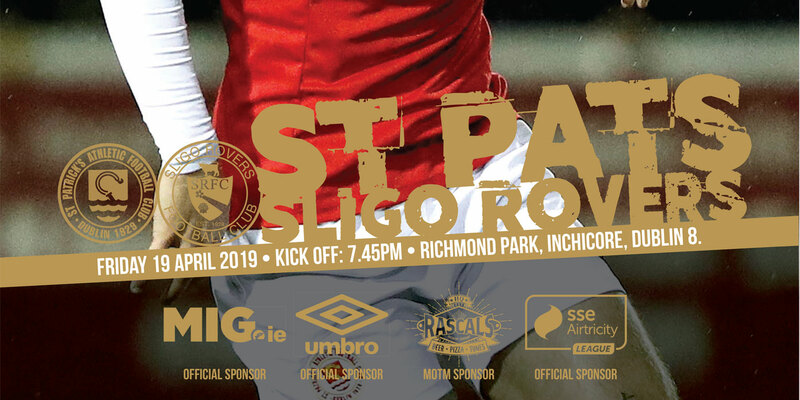 Following an even first half that offered little in terms of quality, the Inchicore side took the lead in fortuitous circumstances when Conan Byrne's corner ricocheted off Packie Mailey at the back post on 68. Mark Timlin doubled Pat's lead ten minutes later when he coolly slotted the ball under Richard Brush. The hard-working Donegal side will be disappointed not to have taken at least a point but did manage to halve the deficit on 91 minutes when substitute Kevin McHugh sent Brendan Clarke the wrong way from the penalty spot. Harps had not tasted victory over the Saints in 15 years and from the early exchanges it seemed as if that run would continue. Goalkeeper Brush was called into action straight away, and with just 30 seconds elapsed, he produced a fine save to keep out Byrne's volley from the edge of the area, after Billy Dennehy had picked out the former Fingal winger from the Pat's left. Both sides worked hard but clearcut chances were at a premium during a dogged first half of this rearranged tie on a bumpy Finn Pak surface. The Saints had a penalty appeal turned down by referee Ben Connolly just past the half hour mark when Nathan Boyle looked to have bundled over Michael Barker inside the Harps area. Connolly waved play on despite the protestations of several Pat's players. Sean Houston was unlucky not to open the scoring 11 minutes into an end-to-end second half after a well worked move from the Donegal men. Dave Scully's exquisite first touch brought Brush's long ball under control. The striker then laid the ball off to Tony McNamee, who showed two Saints defenders a clean pair of heels before squaring for Houston. Houston could only watch as his shot dragged inches wide of the far post with Clarke looking well beaten in the Pat's goal. The game finally opened up and Byrne's inviting cross from the right fizzed across the face of the Harps goal on 62, seconds before the home side struck the woodwork. Ryan Curran did well to touch the ball around his man before unleashing a dipping effort from 20 yards which cannoned back off the top of Clarke's post. The home side had their own shout for a spot-kick dismissed a short time after. With Ollie Horgan's team in the ascendency, substitute Jason McGuinness tugged Mailey to the ground while defending a Harps corner, but Connolly again showed no interest. Liam Buckley's side then captured the lead on 68 minutes, against the run of play. Brush failed to deal with Byrne's corner and the ball struck the unfortunate Mailey, who was stationed at the back post, in the face and rolled into an empty net. Scully passed up a great opportunity to level the game within five minutes of the opener but he couldn't direct McNamee's corner inside the post. The Dublin side doubled their advantage 12 minutes from time. 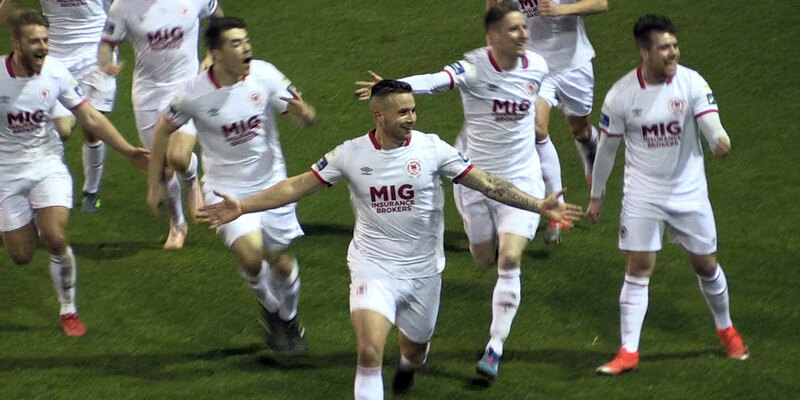 Timlin latched on to the end of Barker's searching ball from the back before sliding the ball under Brush for his second league goal for the Inchicore side. Pat's were made to sweat late on when Barker took down Damien McNulty inside the penalty area one minute into injury time. Substitute McHugh stepped up to send Clarke the wrong way.